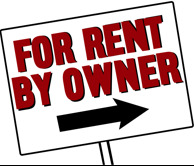 What is FOR RENT BY OWNER? ForRentByOwner.com has helped thousands of property owners across America and worldwide promote their houses, condos, and apartments for rent. Our purpose is to offer a central location for property owners and tenants to connect. Unlike many sites that offer so much information that it's hard to find what you're looking for, our goal is to keep the site focused. Here you will see only properties for rent by their owners or agents. Welcome to our growing international directory of homes for rent, and please visit frequently for daily updates.